This edited volume brings together experts from across the field of education to explore how traditional pedagogic and didactic forms and processes are changing, or even disappearing, as a result of new technologies being used for education and learning. Considering the use, opportunites and limitations of technologies including interactive whiteboards, tablets, smart phones, search engines and social media platforms, chapters draw on primary and secondary research to illustrate the wide-reaching and often salient changes which new digital technologies are introducing into educational environments and learning practices around the world. 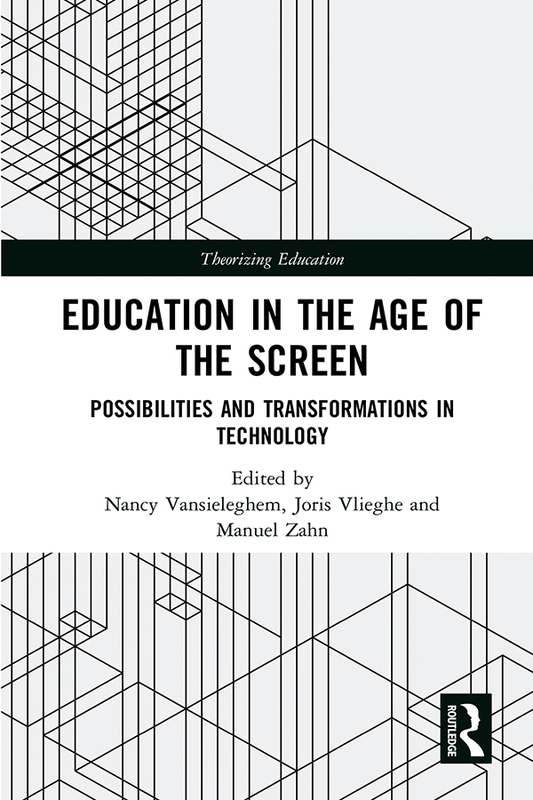 Neither claiming that traditional forms of learning must be replaced, nor calling for a restoration of the school, Education in the Age of the Screen offers a nuanced exploration of the implications of digitization for education. Taking a broad view on education as a social and cultural phenomenon, the volume focuses on three major dimensions: the wider conditions against the background of which we educate and are educated today, detailed examples of aesthetic practices and educational initiatives in the current media culture, and concrete answers to the challenges that come our way. A comprehensive and timely consideration of the state of education in the digital age, this will be of interest to researchers, academics and post-graduate students in the fields of education and pedagogy, media and cultural studies, as well as teacher educators and trainee teachers. Nancy Vansieleghem is Head of the teacher training programme in audio-visual and fine arts at LUCA School of Arts, Belgium, and of the research group Art, Practices and Education. Joris Vlieghe is Assistant Professor in Philosophy and Theory of Education at the University of Leuven, Belgium. Manuel Zahn is Professor for Aesthetic Education with a focus on contemporary media culture at University of Cologne, Germany.